Shiatsu can be seen as the Japanese synthesis of acupuncture and massage. Literally it means finger (shi) pressure (atsu). It was founded by Tokujiro Namikoshi, who established the Japan Shiatsu College in Tokyo in 1940. At the age of seven, Namikoshi discovered the value of shiatsu when he treated his mother who suffered from rheumatoid arthritis. The therapist typically uses his thumb to apply strong pressure on acupuncture points. Sometimes the palm of the hand or the elbow are also used. The treatment can be painful for the patient. A shiatsu practitioner would start by making a diagnosis about the balance of the two life forces, yin and yang, so to some extent shiatsu is similar to traditional Chinese medicine. Depending on the findings, the practitioner would then apply pressure to points along yin or yang meridians. If the patient is diagnosed as having an excess of one, the therapist would tend to stimulate the other. By re-establishing balance, shiatsu practitioners believe they can treat many conditions. 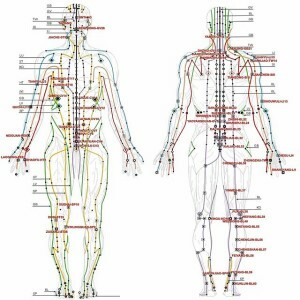 As yin and yang, acupuncture points and meridians are not a reality, but merely the products of an ancient Chinese philosophy, shiatsu is an implausible medical intervention. However, like all massage techniques, it may generate relaxation and a sense of well-being. There are virtually no clinical trials of shiatsu, but there is no reason to think that it is any more effective than a conventional massage. Shiatsu massage therefore seems to be a waste of effort and expense when compared to conventional massage. Due to the high forces applied during treatment, injuries can occur. These range from bruises to bone fracture in the elderly with advanced osteoporosis. There are also reports of retinal and cerebral artery embolism associated with shiatsu massage applied to the neck or head.